Motorhome, camper, campervan or RV, do they all mean the same thing? At France Motorhome Hire we constantly struggle to decide exactly what words to use when describing our vehicles. That’s not because we don’t know what to call them but simply that each of the English speaking countries that our clients come from uses a different term! If you are British or Irish you generally use “Motorhome” unless you are referring to a van conversion (like a VW camper or one of our Euro-Traveller Campervans) in which case you would say “Camper or Campervan”. 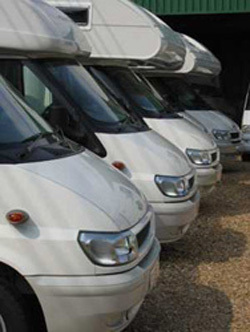 Australians and New Zealanders generally use “Campervan” when referring to any of the vehicles we offer. If you are from Canada or the USA you are most likely to use the generic term “RV” or “Recreational Vehicle”. Our South African clients tend to use simply “Camper” as their favoured term. For the purposes of this website we throw in all four known terms so in the interests of clarity, we always list specific models by name in our quotations, confirmations and hire contracts. We call this language “English” but really it is about five different languages isn’t it? Take a look at our vehicle range to identify the perfect vehicle for your hire.